Kennedy’s assassination, the Beatles, and Phil Spector: Nov. 22, 1963, was a bad day for history and a great day for music. Did JFK’s Death Make Beatlemania Possible? The questionable connections between Camelot’s demise and Liverpool’s ascent. 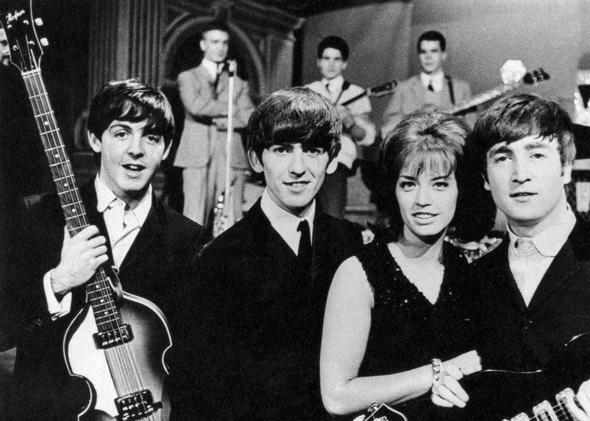 Lill-Babs and the Beatles took part in the Swedish show Drop-In in 1963. On Nov. 22, 1963, two very good things happened along with one unspeakably awful thing. 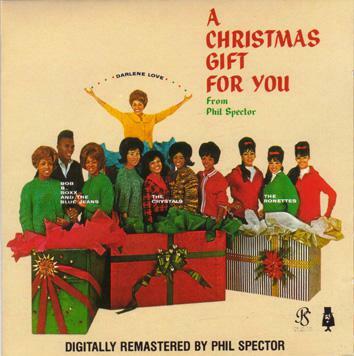 The fact that both A Christmas Gift for You From Philles Records (later renamed A Christmas Gift for You From Phil Spector) and With the Beatles both came out on the same day as the assassination of President John F. Kennedy is one of the most twisted ironies in the history of popular culture. Christmas Gift is the iconic Christmas pop record for all time and one of the most ebullient collections of music ever assembled. 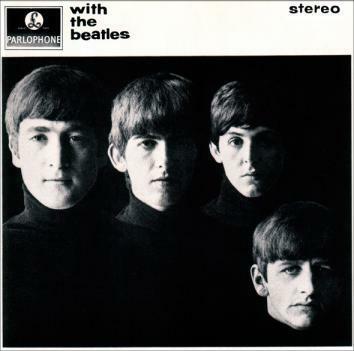 With the Beatles is one of the most important albums by the most important band in history. Not a bad day, except that it was the worst day. History is more fun if it happens in turning points. Dylan goes electric, The Velvet Underground and Nico starts 30,000 bands, Michael Jackson moonwalks on Motown 25—all are Moments When Everything Changed. No event has endured more of this than the Beatles’ arrival in the United States in February of 1964, where they performed before 70-some million Americans on the Ed Sullivan show, soothed an injured nation in the wake of the assassination, and saved rock and roll in the process. As Bob Spitz, the author of a celebrated and enormous biography of the band, put it a while back, “The Beatles changed music forever. They took rock ’n’ roll from a medium that was about cars and girls and gave it context, interesting chord changes and true musicianship.” Variations on this abound in Beatle hagiography. The Beatles absolutely changed music forever, but the rest of that statement is utterly ludicrous. The “true musicianship” bit is barely even worth debunking, but every second of this (1958), this (1961), or this (1962) should suffice. As for the “cars and girls” claim, the first Beatle song that was definitely not about cars or girls was “Nowhere Man,” which appeared in the U.K. on Rubber Soul in late 1965 and in America in early 1966. Here are three extremely famous songs that came out before then: Martha and the Vandellas’ “Dancing in the Street” (1964), Sam Cooke’s “A Change Is Gonna Come” (1964), Bob Dylan’s “Subterranean Homesick Blues” (1965). Not one is about cars or girls. The problem with these turning-point narratives, which often invoke the Kennedy assassination for its epochal gravitas, is that they’re willfully dismissive of all that came before. They imply that the Beatles rendered a whole pre-existing world of popular music instantly obsolete or—even more insidiously—turned it into primitive source material for them to improve upon. And in case you’ve started to wonder, most of the writers making these claims are white men; most of the artists they’re so blithely disinterested in are not. Which brings us to Philles Records, which released one of the great rock and roll albums of all time in the United States the same day the Beatles did so in the U.K., a day when the world’s eyes, ears, and thoughts were squarely focused on Dallas. Throughout 1963 Phil Spector’s label, most famous for young African-American female singers like the Ronettes, the Crystals, and Darlene Love, had been making electrifying art. Just two months prior to the Kennedy assassination Philles had released the Crystals’ “Then He Kissed Me,” which isn’t about cars but is most certainly about a girl (the incomparable LaLa Brooks) and is one of the finest songs about romantic anticipation ever written. Christmas Gift was Spector’s pièce de résistance, the apex of his legendary “Wall of Sound” period. The excesses of the holiday gave pop’s greatest maximalist carte blanche to make the record of his wildest dreams. Today, Christmas pop is a fatigued genre, but that’s partly because Christmas Gift left everything in its wake feeling vaguely redundant. Tracks like the Crystals’ “Santa Claus Is Coming to Town” and the Ronettes’ “Sleigh Ride” are chestnuts roasted with C-4, and the album’s greatest track, Darlene Love’s “Christmas (Baby Please Come Home),” is less a Christmas song than a three-minute aria of regret and hope. The album was also a flop. Despite bearing the name of one of the most popular labels in America, A Christmas Gift for You From Philles Records didn’t sell, and Spector would blame the assassination for its failure. (Leave it to Phil Spector to frame the defining tragedy of the last 50 years in terms of record sales.) But there are other reasons why Christmas Gift might have flopped, the biggest being its format. In 1963 rock and roll was a singles medium: Philles had released a total of only five LPs prior to Christmas Gift, none of which were successes. In fact, it was the Beatles themselves who would be most responsible for turning the music into an album-oriented form, when they audaciously released Sgt. Pepper’s Lonely Hearts Club Band without a single in 1967. It was only in later years that Christmas Gift’s songs became iconic, and the LP finally received its day in the sun in the early 1970s, when it was reissued by Apple Records—a company founded by John Lennon, Paul McCartney, George Harrison, and Ringo Starr, four of Spector’s girl groups’ biggest fans. Christmas Gift, a conceptually unified, perfectly sequenced long-playing work of rock and roll, might have failed because it was ahead of its time. The fact that With the Beatles and A Christmas Gift for You From Phil Spector were released on the same day is a coincidence. Were they released on any other day it would be one of the happiest coincidences in all of music; instead it’s one of the most perverse. But it’s still a remarkable convergence, and an instructive one for picking apart some of the myths we’ve told ourselves. In 1963 you could stroll into the new releases section of a record store and find Marvin Gaye’s “Can I Get a Witness,” Martha and the Vandellas’ “Heat Wave,” the Impressions’ “It’s All Right,” the Crystals’ “Da Doo Ron,” and the Ronettes’ “Be My Baby.” And if you still had enough for an LP you could wander over to the folkaisle and grab The Freewheelin’ Bob Dylan. Fifty years later all those titles hold up awfully well, and the music scene on Nov. 22, 1963, was a vibrant place that the Beatles were about to make a whole lot more vibrant. Just because something wonderfully new comes along doesn’t mean that everything else has to suddenly be old.